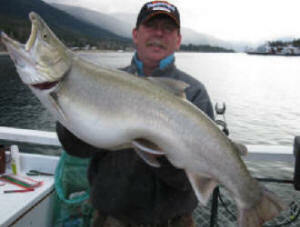 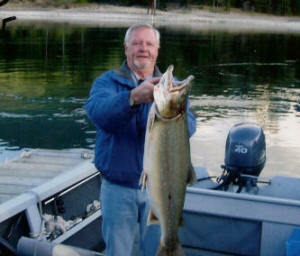 Don Leduc sports his Prize Gerrard caught Sept 13, 2010 . 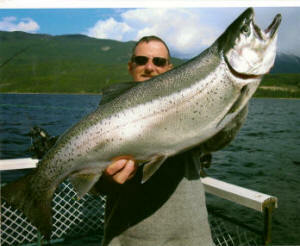 Glen Loepky Sept 24 2010 and 15lbs of fighting Gerrard..."Bonnie, Get the Frying pan... we landed ourselves a family dinner!" 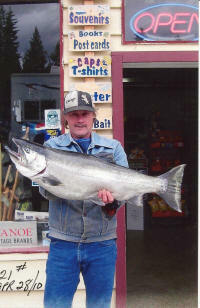 This 17 pound beauty was reeled in by Shane Boatman of Houston Texas Sept 10,2010. 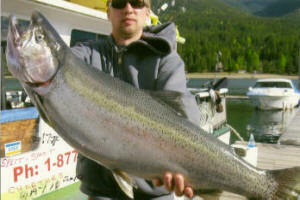 The width of his grin was only surpassed by the width of his Gerrard Rainbow Trout. 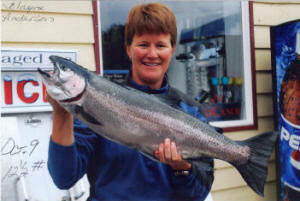 Gerrard Rainbow Trout caught Oct 26 2010 Bonnie Loepky and her Dolly 17 lb and looking long How do you like this one Glen?